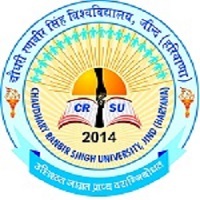 CRSU Jind Haryana B.ED 2019 application form will be released by Choudhary Ranvir Singh University for B.Ed course in Jind, Haryana. Candidates have to apply online for the entrance exam on the official website of the Choudhary Ranvir Singh University. Candidates who want to go for a career in teaching should apply for this. Read the official advertisement from the official website for all the important information about CRSU Jind Haryana B.ED 2019 like Eligibility Criteria, Important Dates, Application Fee, Exam Pattern, Admit Card and Result etc read the article below carefully. The registrations for CRSU Jind Haryana B.ED 2019 will be available soon in online mode from the official website of conducting body. Before filling the application form, candidates must have to read the instruction carefully. The registration for CRSU Jind Haryana B.ED 2019 will probably start in July 2019. Candidates are advised to submit their application form on or before the scheduled date. Applicants can check the complete information regarding CRSU Jind Haryana B.ED 2019 from the article written by our expert’s team on this web page. Applicants must be the citizen of India. Candidates must have passed Graduation or Post graduation degree or its equivalent degree from any recognized institute. Candidates must be 20 years at least. Candidates belonging to SC/ST/OBC category will be eligible for relaxation of 5% in marks, according to the authority. Economically Backward Person in General Category: 10%. For General category: candidates have to pay Rs. 1000 as application fees for B.ED entrance examination program. For Reserved category: candidates have to pay Rs. 625 as application fees for the B.ED entrance examination program. Candidates will be able to download the admit card from the official website of the university. CRS university will release the admit cards of the candidates who applied for the entrance examination. University will not send the admit cards of any individual candidate via post or courier services in any manner. It is important to take Admit Card with you while going to the examination center. Candidate must have a valid id proof other than the admit card at the time of examination. Candidate will not be allowed to give the exam, without the admit card. University will also publish the merit list separately for the general & reserved category candidates. Results will be updated on the Website of CRS University. Candidates will be called for the counseling sessions for admission in university on the basis of merit list. On the basis of the merit list & counseling, the admission in this course will be commenced.